Irritable Bowel Syndrome, or IBS as it’s generally referred to, is common. Very common. In my pharmacy practice, I must speak to someone at least once every day about diagnosis, how to manage their symptoms or about the current ‘best’ treatment. IBS sufferers have a set of symptoms that are not only unpleasant, but can have a really limiting effect on their daily life. Many end up semi-housebound, or at least restricted by the availability of handy toilets while out, or in pain from chronic constipation while others struggle to fit into their clothes when the bloating is at its worst. Some patients fear social outings as their systems seem to react oddly to food or alcohol and the only answer they find is to eat a very limited diet, or even not eat at all outside of their home. Nearly all of them find that their symptoms are worse in times of stress, or during life changing events such as divorce or marriage, moving house, work worries or bereavement. ur general reluctance to discuss our toilet habits makes it difficult to accurately assess the total number of IBS sufferers, but a recent community survey by researchers showed that up to 42% of women and around 30% of men reported the most common symptoms of spasms, pain, bloating and constipation or diarrhoea. However, only about a quarter of these had actually consulted a doctor (most of those were women, but that’s a subject for another blog!) Those that DO pluck up the courage to talk to their doctor about their bowel problems account for around 40-50% of referrals to hospital gastroenterologists, so IBS is a huge workload for the NHS. IBS or ‘functional bowel disorder’ (FBD) as it is also known, is defined by doctors as “a variable combination of gastrointestinal symptoms not explained by any structural or biochemical abnormalities”. These symptoms include abdominal pain, associated with changes in bowel habit, distension or bloating and constipation or diarrhoea. It is a disease of the western, industrialised world, with similar rates worldwide, but lower reported cases in rural areas and the developing world generally. No one has come up with a satisfactory explanation for how all the IBS symptoms are caused, but it seems to be linked to changes in how quickly and efficiently food passes through the intestines. An ‘over – sensitivity’ to the sensations of intestinal movements may also be to blame in some people, alongside differences in how they perceive ‘pain’ in the gut. IBS or FBD is generally diagnosed after excluding anything else more worrying such as cancer, coeliac disease or inflammatory conditions like Crohn’s disease by a battery of embarrassing tests, undignified examinations and indelicate questions about bowel habits. If nothing is picked up during these appointments, consultations with the specialist result in the annoyingly unsatisfactory conclusion that ‘there’s nothing else causing the symptoms so it must be IBS’. Patients are then given vague dietary guidelines – vague because everyone’s IBS symptoms are slightly different and seem to respond to food, especially fibre, in different ways – and referred back to their GP for management. And that’s where it gets frustrating for many patients, as effective treatment choices for the GP are pretty limited. Pharmaceutically speaking, there is no ‘cure’. Medication is aimed at relieving the symptoms, so patients are often given a bewildering array of different drugs – drugs that relieve constipation. Drugs that relieve diarrhoea. The drugs that relieve constipation cause diarrhoea, so a cycle of balancing one drug against the other starts as the drugs that stop the diarrhoea then result in constipation. Anti spasmodic drugs may stop painful cramps, but can cause constipation, requiring another careful balancing act while laxatives to relieve the constipation can cause bloating. Some doctors will prescribe low doses of antidepressants for their effects in minimising the pain associated with IBS, but since the older drugs can cause diarrhoea or constipation themselves, patients find that the side effects are too troublesome to make them worth taking. All this confusion leads many patients to become disillusioned with their medicines and go back to the GP, not only in the hope of a better treatment, but also through the nagging fear that ‘something may have been missed’ for the symptoms to remain. So it’s easy to see why so many people resort to strange, often restrictive, diets or unregulated herbal treatments which can even make the problem worse. Most simply end up suffering in silence, modifying their working day, their diet, their social life and their clothes to cope with their symptoms and worrying about what to do next. Interestingly, studies as far back as 1869 noticed that symptoms typical of what we would today call IBS were worse in patients who were anxious, or ‘mentally fatigued’ as they might have said back then. This is equally if not more true today – many patients struggling with their mental health also report IBS-type problems (up to 94% in some studies) and anyone that suffers with IBS knows that their symptoms are always worse in times of stress. And that’s where hypnotherapy comes in. Solution focused hypnotherapists are experts in reducing stress and anxiety. It’s what we do best. Many studies have shown that just reducing stress and anxiety improves IBS, but studies by the Wythenshawe Hospital in Manchester showed that patients treated with hypnotherapy improved even more. Improved so much, in fact, that up to 95% of patients were symptom-free long after their course of sessions with a hypnotherapist had finished. 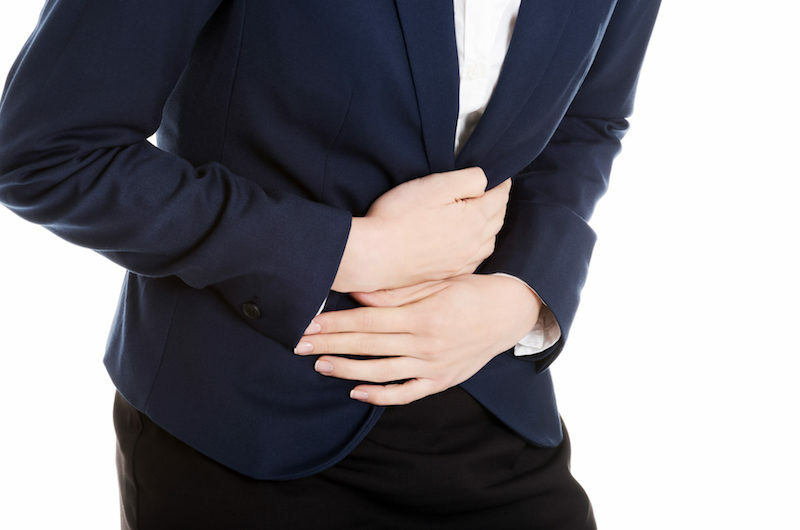 Even the hard-to-impress ‘NICE’, the organisation that advises the NHS on best practices, recommends hypnotherapy as an effective treatment for IBS, especially in cases that don’t respond to standard drug treatments. Unfortunately it goes on to say that “expertise and facilities may not be available in all regions”, so it’s not widely used to treat patients. Sadly Inspired to Change hypnotherapists are not yet available in all regions (we’re working on that!) but that doesn’t mean we can’t help you. Many of our hypnotherapists provide online sessions which prove just as effective. Why not contact your nearest Inspired To Change hypnotherapist and see how we could help you to become symptom free. If you would like to find out how hypnotherapy could help you then get in touch with your local Inspired to Change hypnotherapist to book your FREE initial consultation. Inspired to Change Hypnotherapists are based across the UK in Bristol, Cambridgeshire, Devon, Kent, Leicestershire, Northamptonshire, Norfolk and Somerset. NextNeed a Kick-Start to Spring With Your Horses?